Scale: 1:48. 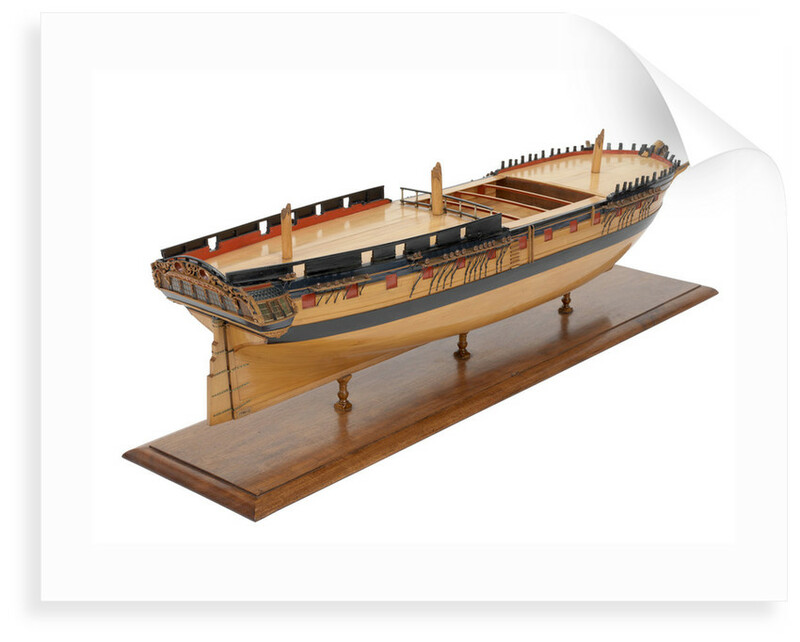 A Georgian full hull model of HMS 'Triton' (1796), a 32 gun frigate. 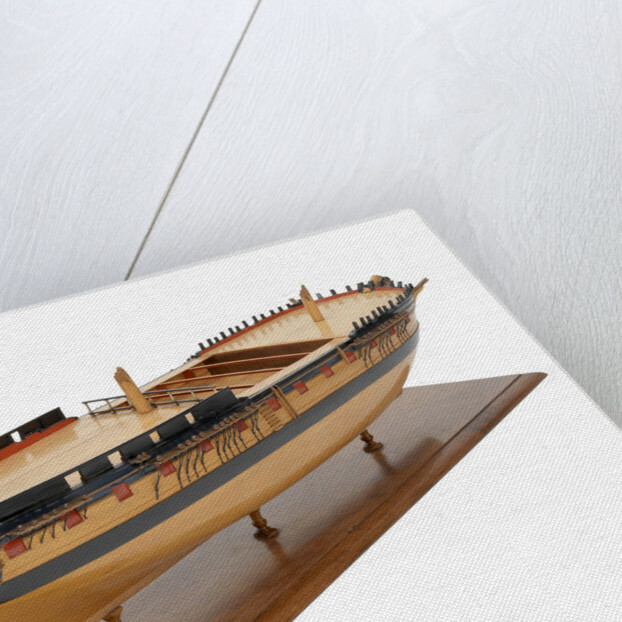 The model is largely unpainted and the wooden hull and decks have been lacquered. 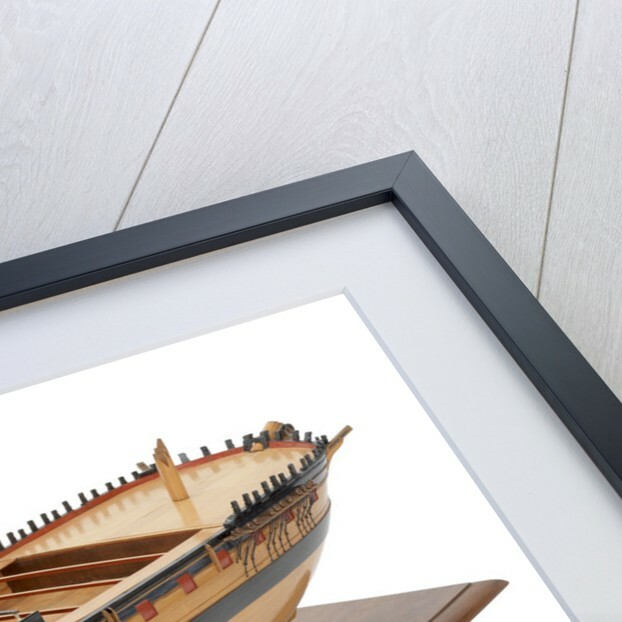 The gunwale, beakhead, and other details have all been painted black. Inboard details and gun ports have been painted red. The model is flush decked with an open waist and at the stern end of the waist there is a rail. 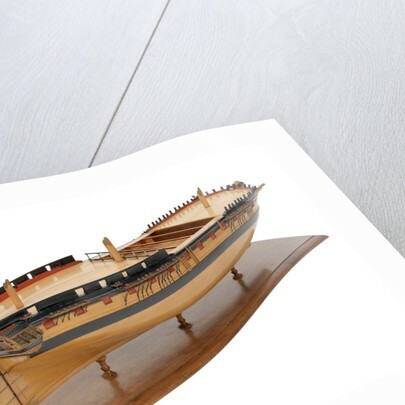 The model has three stump masts and a stump bowsprit. The stern gallery has been finely carved and painted, and the decoration includes the monogram GR. Other details include channels, catheads and four heads. The model is mounted on three in-line turned wooden pillar supports on a mahogany base.